I love to shop, but I also love to enjoy the holidays. I hate feeling the pressure of buying last minute gifts. I have put together a few of my favorite things. These are gifts I either have or would like to receive. 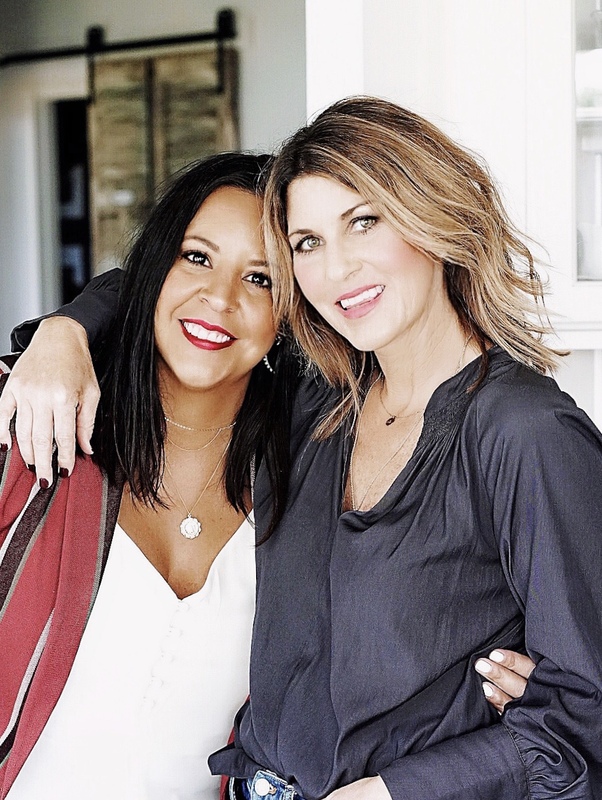 In the next couple of weeks, Sandi and I will keep adding ideas to our list, so stay tuned! I am in love with this Madewell Leopard Dot Pullover Sweater with bold dots and slightly flared sleeves. Hurry! This fun print will likely sell out. 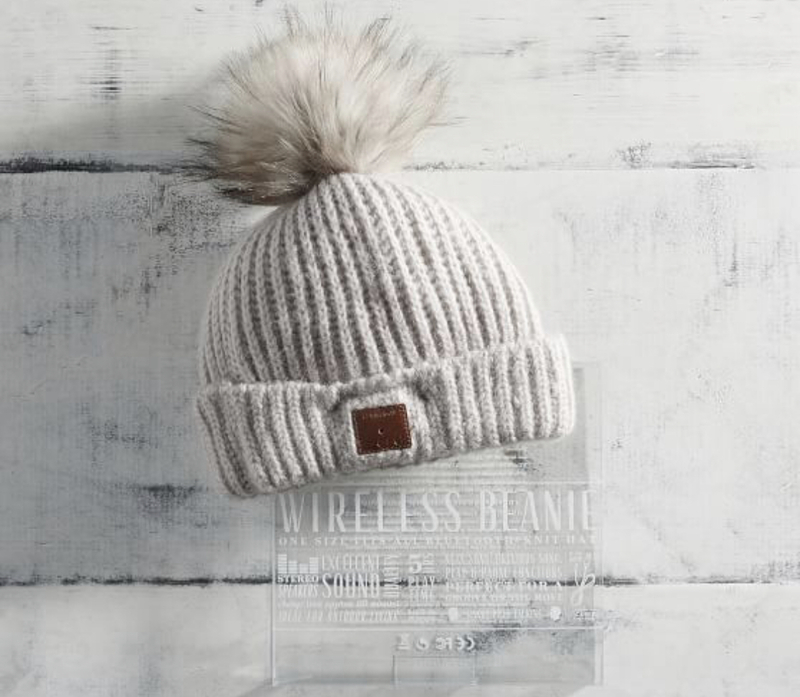 This cozy Power Puff Bluetooth Beanie keeps you warm and entertained with built-in wireless earbuds for tunes on the go. • Made of 100% polyester. • Features a built-in headphone and microphone for music and phone calls. This gift set is so good, I make sure I get one every year! I love it! Free shipping and returns on Estée Lauder Blockbuster Collection (Purchase with Estée Lauder Purchase) at Nordstrom.com. A limited-edition deluxe collection of beauty essentials by Estée Lauder. Yours for just $68 with any $45 Estée Lauder purchase. A $440 value. There is no such thing as too much leopard or too many house shoes. I do not currently own these plush and cozy Madewell faux fur loafer scuff slipper, but they are on my wish list. 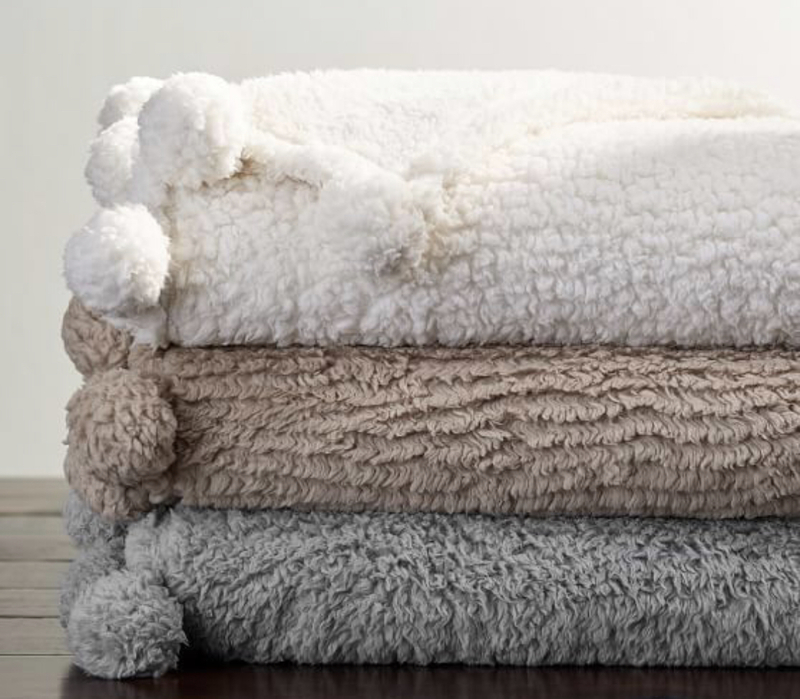 Currently on sale for $27 plus free shipping, this Pottery Barn Cozy Pom Pom Throw comes in three colors. It’s the throw my kids and my dogs try to steal from me. 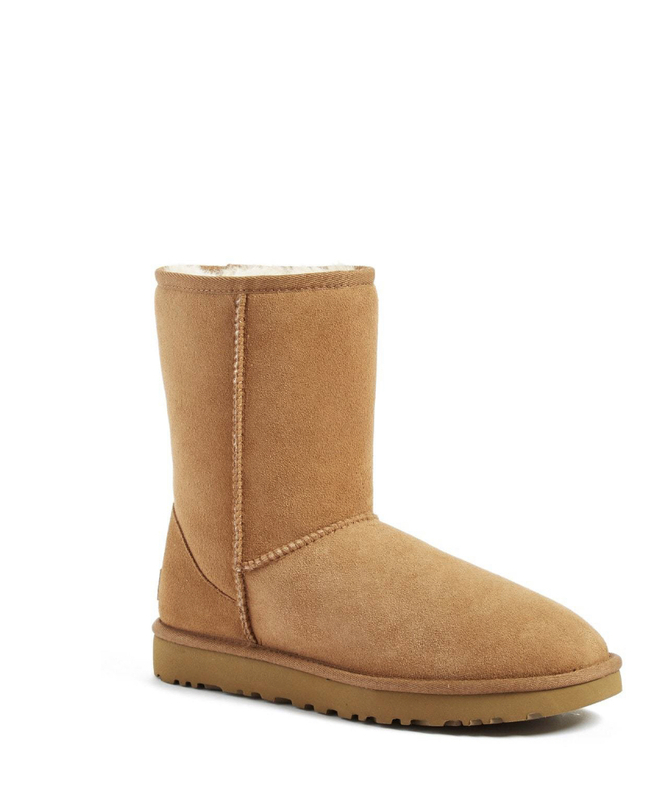 The Classic Ugg only better! Now pretreated to protect against moisture and staining, this favorite UGG short boot is comfier and cozier than ever, with a plush lining crafted from genuine shearling. Plus, a new Treadlite sole provides increased cushioning, durability and traction on both wet and dry surfaces. Ever since I started wearing the Buxom Plumpline Lip Liners and lip polishes, I have been getting asked lots of questions about my lip color. Right now, this BUXOM 6 Days of Christmas Lip Collection kit is on sale for $59 (if sold separately: $120). This set makes a great stocking stuffer, too! My go-to fragrance for many years has been the Jo Malone scents. I especially love the Wood Sage and Sea Salt (I can never run out!). 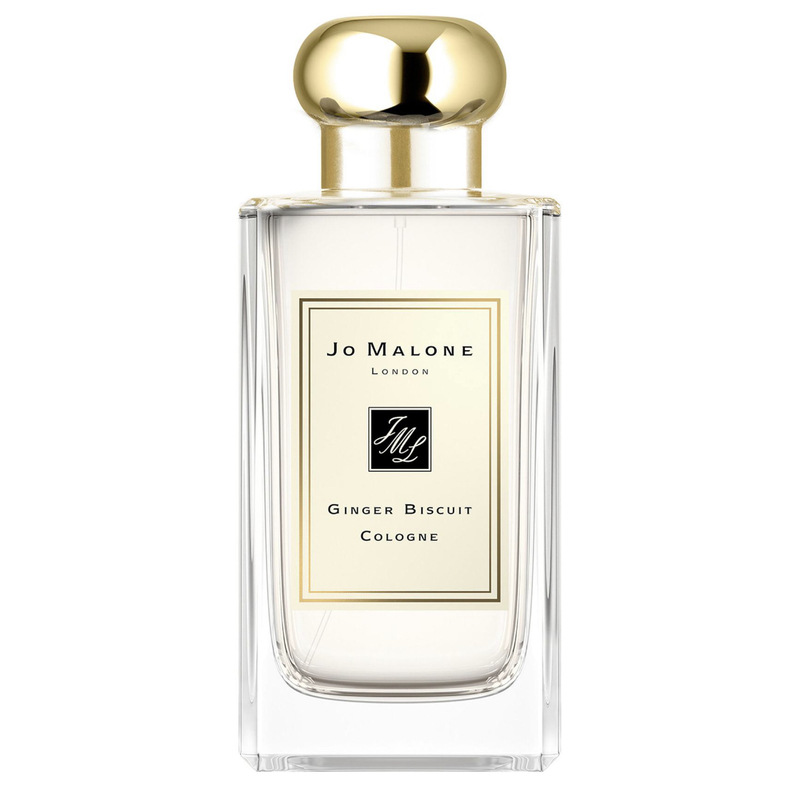 I recently sampled this seasonal fragrance Ginger Biscuit Cologne and love the smell of just-baked Christmas biscuits. Spiced with ginger, nutmeg and cinnamon, melting into caramel. Buttery-crumbly with roasted hazelnuts. Warmed by tonka bean and vanilla. Yummy! I am a sucker for pajama sets but especially love something with long sleeves (my arms get cold), but short pants (my legs get hot). I know, I am finicky. Anyway, I love these Target Resting Grinch Face pajamas and have the red set “Happy Holla Days.” So festive and cute! I will continue to update and add more to our gift guide, so keep checking back. Happy shopping!